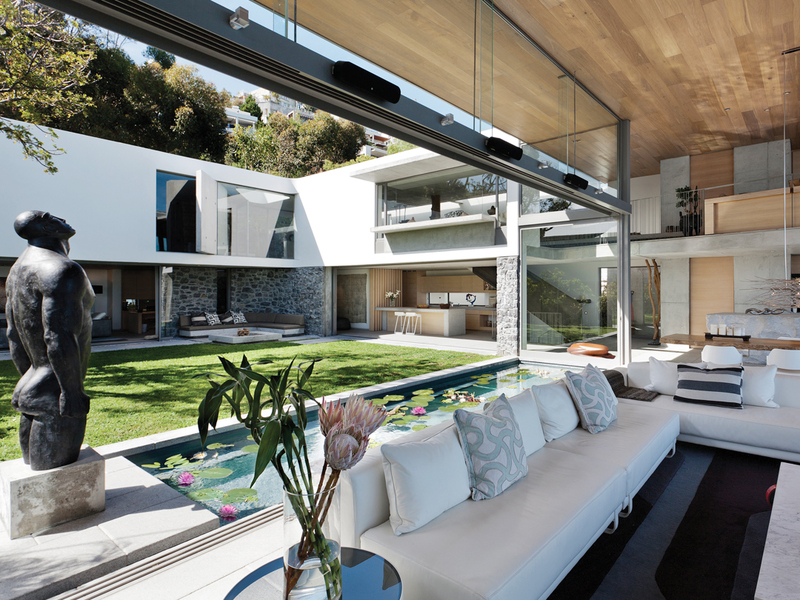 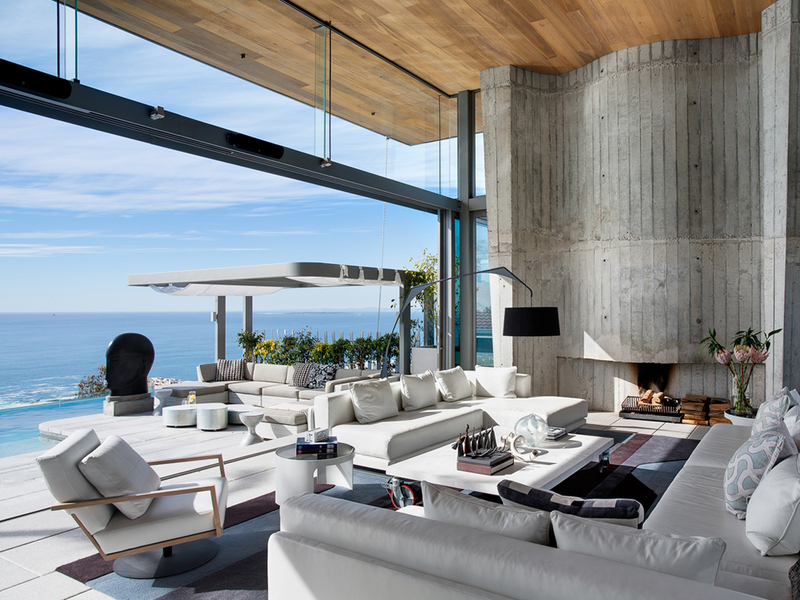 OKHA was commissioned to design the interior of this expansive architectural home, located on Cape Town’s Atlantic Seaboard. 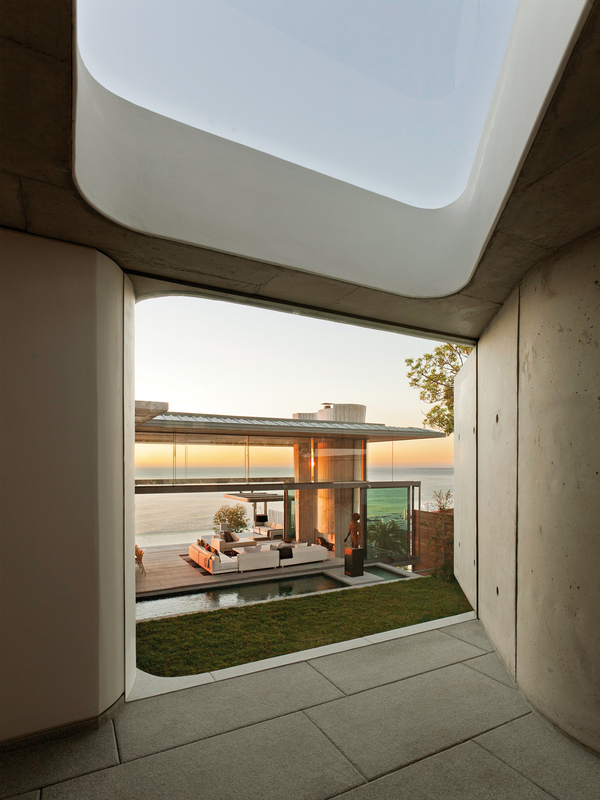 The property sits high above the sea and commands exhilarating views across Cape Town and the ocean. 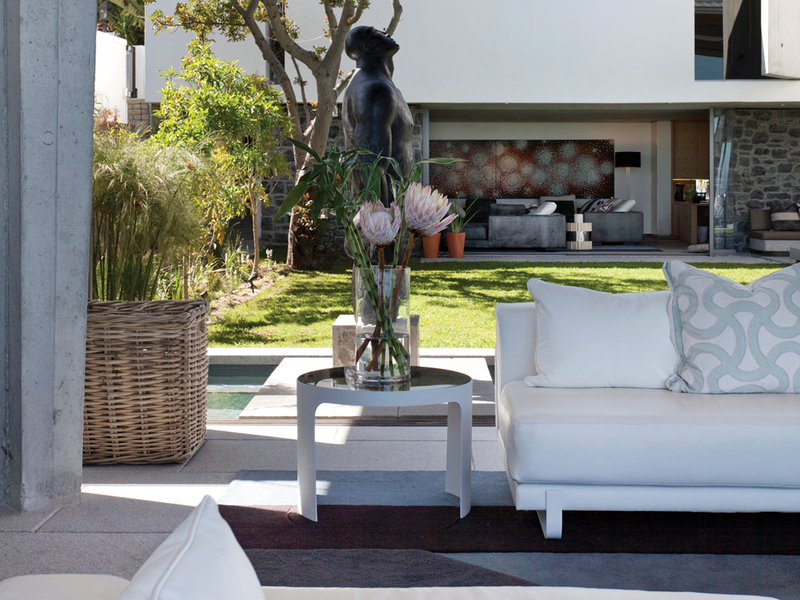 The client’s brief was to keep the interiors understated, relaxed and restrained allowing the shifting colours of the natural surrounds to hold centre stage. 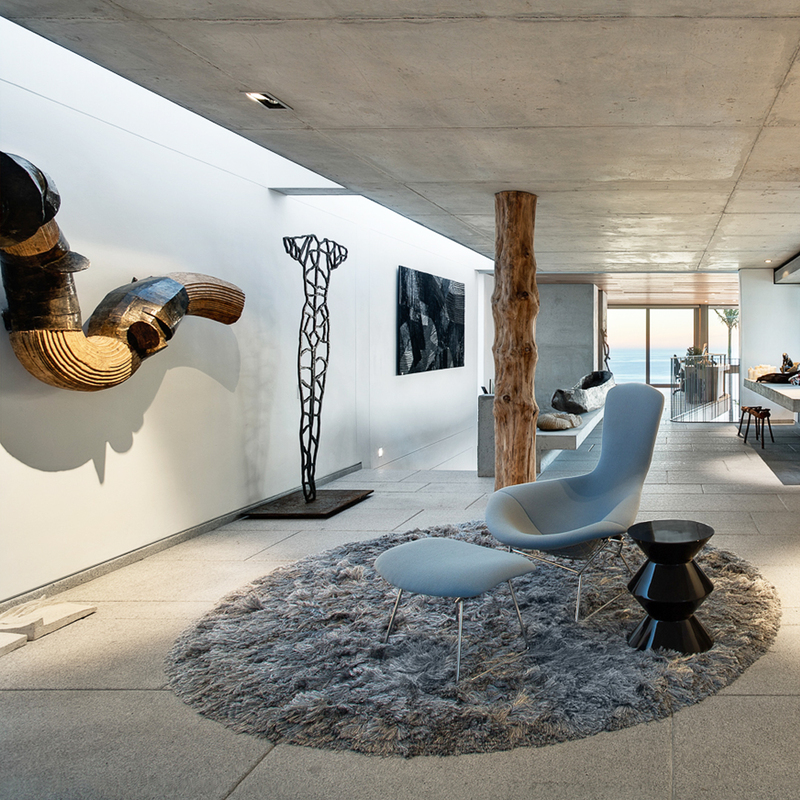 Whilst the colour palette of the interiors was kept subdued, texture, materiality and tone played a pivotal part in creating a layered and carefully nuanced space. 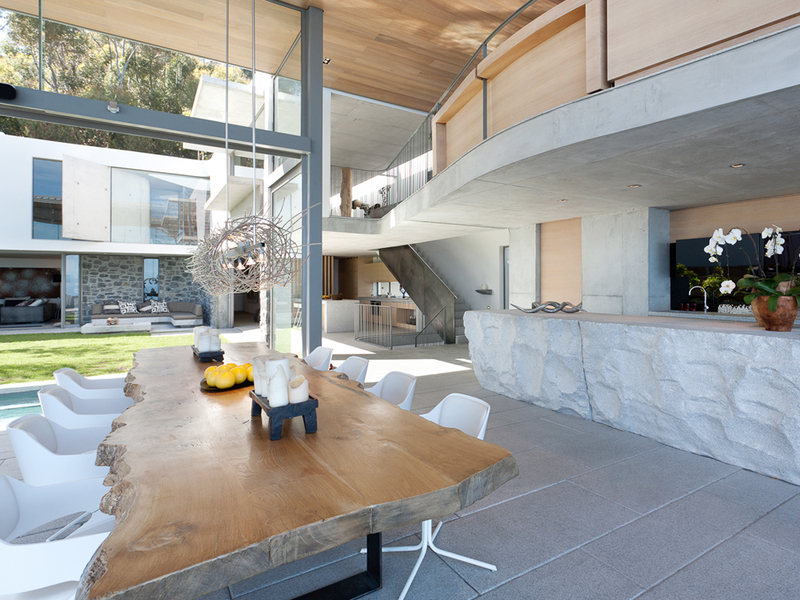 Natural materials such as oak, linens, honed marble and stone combine with the buildings off shutter concrete, granite and timber to convey a feeling of serenity and casual elegance. 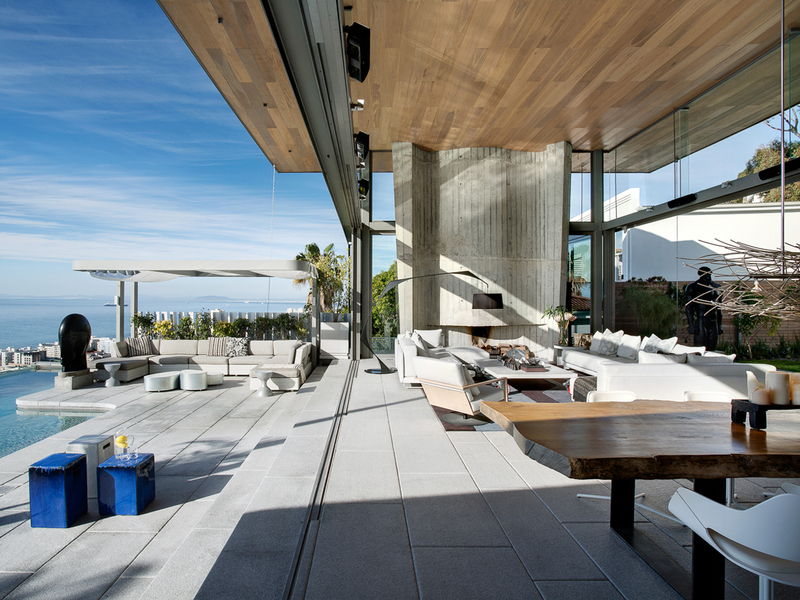 OKHA worked in synchronicity with the building’s inherent calm beauty and emphasised simple luxury, comfort and function to create a space that functions successfully as both an intimate family home and entertainment space.